The humble flannel shirt has been around for quite a long time. It’s hard to deny the appeal of a good flannel shirt. It’s the ultimate shirt for the physically active man and pretty much looks good on everybody. This timeless piece of clothing is as iconic and classic as it is functional. When looking for the best men’s flannel shirts, it’s hard to choose one particular aspect. Once upon a time, their main purpose was to keep the wearer warm and in particular for the man involved in any type of physical work or activity. These days, they are as much a fashion statement as they are a warm and functional shirt. You’d find it difficult to look back over the last century and not find a decade where flannel shirts did not make an appearance. Choosing a great shirt among the thousand out there can be a challenge. We’ve looked at some of the best ones with all the important features in mind. When it comes to choosing an authentic and top quality flannel shirt, one of the best choices is the Legendary Whitetails Men’s Buck Camp Flannel Shirt. Legendary Whitetails make their shirts to last so you will be getting a good quality piece of clothing. It also comes in a range of over 20 colors and designs that can take you from hunting, to wood chopping or even having a beer with the crew on a cool afternoon. Buy several and you’ll have a warm and durable shirt for any occasion. You can even wear it over a v-neck t-shirt and look as cool as hell! 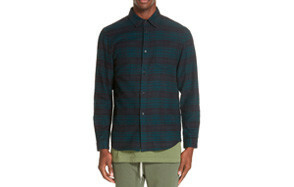 Gioberti have made a flannel shirt that is warm and comfortable, yet looks fantastic. It is made with 100% cotton with a corduroy contrast fabric for that super soft touch. There is amazing choice of colors to suit every man and at such an affordable price, this shirt is quality and value all rolled into one. You’ll love this shirt so much you’ll want more than one so you can go for a classic red flannel shirt, or go for one of the many other colors available. Sometimes all you want is a simple flannel shirt for everyday casual wear. Howler Brothers Harker’s Flannel Shirt is the shirt for you. This flannel shirt looks great with your favorite pair of jeans. It’s casual enough to wear when you’re out with your friends, but will also see you through a day at any sporting event. In a range of simple, yet stylish colors, you are sure to look great and stay comfortable. If you like colorfulclothes, make sure you also check our Hawaiian Shirts review. 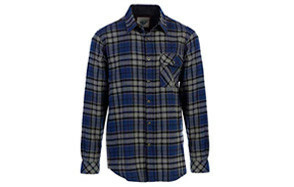 If you like simplicity in plaid flannel shirts then you’ll love this Bowery Buffalo Plaid Flannel Shirt. The large, buffalo plaid pattern makes for a simple, yet stylish shirt for every day casual wear. The true beauty of this shirt is its durability. It is machine washable and you can dry it in the tumble dryer. You’ll never tire of wearing this shirt, simply because it is soft and comfortable. This shirt will be your most worn shirt in cooler weather and will look great under any jacket. Make sure you also check our guide to the best tactical shirts. Men’s flannels have come a long way over the years and none more so than this unique shirt from Silver Ridge. This is the perfect shirt for the active man on the go as the fibers direct sweat out so you stay warm and dry no matter how much exertion you’re exposed to. You’ll love this shirt for those sunny days you want to go hiking up to a mountain lodge. It will keep you feeling cool as you trek up the mountain and you’ll still be looking cool enough to walk into the lodge for a cold drink or lunch. With a stunning selection of colors you’re sure to find your perfect shirt. Combine it with cool hiking shoes and you are goot to go. This Original Penguin Jaspé Stretch Flannel Sport Shirt shatters all the stereotypes of what a flannel shirt looks like. In a classic blue solid color, this is a shirt you can wear to any casual event you like and you may even get away with wearing it to a formal event. It has a little bit of stretch to it so you are sure to be comfortable at any time of the day or night you choose to wear this simple, yet stylish shirt. You can always step out in style in a MOCOTONO Men’s Shirt. These classic plaid shirts for men are the ultimate wardrobe item. The can take you anywhere from work, to lunches and finally for drinks in the evening. They are made from 100% cotton so you will always stay cool, even when you wear your shirt on during a day of high activity in the great outdoors. You’ll never be stuck for color choices because this range includes some fantastic color combinations from the simple to the flashy. Look fantastic from the start of autumn until early spring and stay comfortable. In the colder months you shouldn’t have to compromise style just to keep warm. 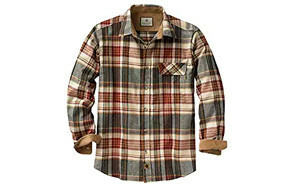 Patagonia has given us the answer to style and warmth with their range of Men’s Long-Sleeved Fjord Flannel Shirt. These shirts are made from 100 organic cotton flannel and are a little heavier than most shirts to keep you super warm. They are also quite durable so you will be washing them and wearing them all winter long. This is the shirt that will be a staple in your workday wardrobe as you will look like a total professional without compromising your own personal style or comfort. You are sure to find the perfect color in this fantastic range. If you love the brand, make sure you also check our selection of Patagonia jackets you can wear over the shirt in winter time. A good quality shirt will last you for quite a while and it should be one you actually enjoy wearing. 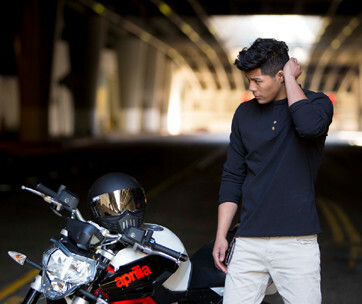 These Men’s Slim-Fit Long Sleeve shirts from Goodthreads make everyone look good. The manufacturer takes painstaking care to ensure every shirt that leaves production is perfect so all you have to worry about is what to wear with it. Made from 100% cotton your comfort is guaranteed in this imported shirt and the fact that it is machine washable means it is easy to care for. In grey tones or a red blue combination, this shirt is timeless and one that you will love to keep wearing. The best men’s flannel shirts are timeless. What looked great a century ago, should also look good today and that is definitely the case with a Weatherproof Vintage Men’s Flannel Shirt. These shirts are the essence of masculinity and the large plaid pattern looks good for work (paired with good work boots) and play (paired with white sneakers). The shirt also feature weatherproof technology so you will be able to stay comfortable even when the weather decides to be uncomfortable. The range of colors you can choose from are classic, cool colors that look stunning with jeans, jackets and other casual pieces of clothing. You’re sure to turn heads in this cool shirt and still stay cool enough no matter how much activity you get up to. If you like the look and feel of plaid flannel shirts but want something that looks a little more modern than this Blackwatch Plaid Flannel Shirt from GITMAN is sure to please. This is one of those classic, yet contemporary style of shirts that will never go out of style and the superior quality means you will be wearing it for many seasons. The main feature of this stunning, go-anywhere shirt is the soft brushed cotton flannel fabric that will get you from day to night with ease. This winter season, stay comfortable and warm, as you step out in style in this classic shirt. Be the coolest looking guy around the campfire in this simple, yet stylish Long Sleeve Fireside Plaid Flannel Shirt from Bass. You’ll find it hard to resist the temptation of having more than one in your wardrobe because this classic range of men’s flannel shirts offers a great selection of colors at an affordable price. It is a classic style of men’s shirt for the man who enjoys getting out in the great outdoors to go hiking or camping but you will also look great at any evening occasion beside a fire. The super soft brushed cotton will keep you warm and comfortable from day into night. You will want at least two of them packed in your backpacking backpack. The best flannel shirts don’t have to be baggy and shapeless. This Original Penguin Men’s Flannel Plaid Dress Shirt will give you a nice slim fitting shirt that will look fantastic when you are in a business meeting, but will look just as great for a casual night on the town. The smaller than usual collar gives this shirt an understated look, without compromising your individual sense of style. 100% cotton material and machine washable, this is one shirt you will be washing and wearing more often than you think and because it is an original Penguin shirt, you have the reassurance of owning a great, versatile shirt. The simplicity of this shirt is what makes it so great. You will love this blue plaid flannel shirt from with a touch of burgundy. Hit the town in your favorite jeans and a comfy pair of loafers and this shirt will finish off your look to perfection. The slim-fit style tapers to your shape giving you a longer, leaner look and the color is suitable for anyone. The curved hem gives it a nice easy-going look or tuck it into your jeans with a great belt for a more formal look. This is one of the best choices you will ever make when choosing a great shirt. One of the best brands in shirts for rugged men is Wrangler and this Authentics Men’s Long Sleeve Plaid Fleece Shirt is proof of that. This style of shirt features a relaxed fit that looks great with jeans or pants. You could also team it with a black or white t-shirt and either button up the shirt or leave it open for a different look. The shirt is also available in a great range of colors and designs so you can choose plain stripes or go for the traditional look of a red and black flannel men’s shirt. The shirt is made of double sided brushed fleece fabric so for softness inside and out. Dress it up or dress it down for any casual occasion. Material - The type of fabric is always a major factor in an all-purpose shirt like a flannel shirt so we looked at materials that are durable and comfortable. Being flannel, we also checked to ensure they would be soft and comfortable enough to wear every day for work and for play. In terms of care, we considered time. For that reason we selected materials that are machine washable and needing little or no ironing so you can have the time for the more important things in life. Reviews - Although we put in the effort to find the best selection men's flannel shirts, we believe it is still a good idea to see what other consumers thought. Reviews can give you a great insight into the product and in this case, we checked the reviews of hundreds of loyal customers who have tried and tested the products to make our selection process a lot easier. These reviews made it a lot easier for us to compile a short list of the best flannel shirts, before carefully selecting, what we think are the best ones. Brand - Sometimes you can get away with purchasing a cheap imitation, but when it comes to flannel shirts we steered clear of the unknown. 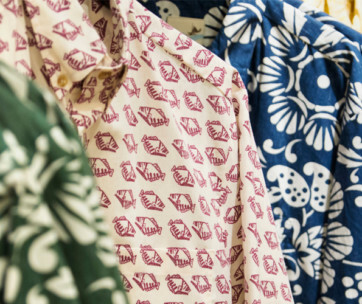 Many of the brands we chose have a long and significant reputation for producing nothing but great shirts with a high standard of quality control so you can be sure to get lots of enjoyment out of your purchase. Another point we considered with our selection of brands is durability and comfort. This is something that is often missing when you purchase a generic brand of flannel shirt. Price - One obvious consideration when it comes to purchasing flannel shirts for me is price. Some of the shirts in our selection are a little on the pricey side, but the quality and look are definitely worth the investment. However, we also went in search of more affordable shirts as well believe every man deserve to look his best in a good quality shirt. Our selection of flannel shirts has a price that will please any budget without compromising on quality. Comfort - Flannel shirts are traditionally considered to be work wear so if you are looking for a work shirt, which you will be wearing for most of the day, you want it to be comfortable. The same applies to any other type of activity like hiking, hunting or even watching a football game. You want something that fits nicely so that you look and feel comfortable all day long, and even into the evening if you need it. Weight - Most people don't like clothing that is cumbersome and awkward so one of the best features of flannel shirts is that they are lightweight, yet soft. You want a shirt you can comfortably wear all day without feeling weighted down, particularly if you are working. However, if you do like the feeling of a heavier more durable material you can find flannel shirts that will fit that bill. Material - One of the main reasons flannel shirts are so popular is the softness of the material. Because flannel shirts are often linked to lots of activity like work, hiking, hunting, etc., the last thing the wearer wants is a stiff, almost cardboard like feel. The fabric is basically brushed to give it a nice soft texture that gives you the feeling of wearing a soft, yet light blanket. The softness also indicates that the shirt is durable wash and wear that requires little or no special treatment and minimal ironing. Warmth - Flannel shirts are a classic piece of winter or cooler weather clothing so warmth is a must have feature. A good flannel shirt should be relatively light but still keep you warm. With or without a jacket, a quality shirt will give you a nice cozy feeling which is especially important if you spend a lot of time outdoors. Brand - You could argue that the brand is not such an important feature when shopping for a flannel shirt, but why would you risk your warmth and comfort on a cheap, nasty imitation? Some of the brand name manufacturers that specialize in flannel shirts have turned these shirts into international icons. This also means they have invested a lot of resources into ensuring every shirt meets the strictest quality control. When you choose a good brand of flannel shirt, you can be certain that it will take lots of wear and tear before your shirt starts to look worn. Q: What Is A Flannel Shirt? A: Flannel has been around for a few centuries and was originally made from carded wool or worsted yarn and has been a favorite material for the working class. The most notable being the lumberjacks. Today's flannel can be made from wool, cotton or a synthetic fiber. When you mention flannel shirts, most people automatically think of the red and black flannel men's shirts in the distinctive plaid pattern. While classic flannel shirts still come in this color combination, the color combinations and styles can vary from two or more colors, but you can also find flannel shirts in striped combinations or even plain colors. Flannel has more to do with the type of material use in producing these shirts than their colors. Flannel is generally a soft, brushed fabric specifically made for comfort and warmth. There are a variety of thicknesses available and even though most flannels are brushed, you can also find unbrushed flannels. Q: Is It Harmless To Purchase Flannel Shirts On The Internet? A: Online shopping has become one of the greatest modern conveniences, particularly for those that hate spending countless lost hours in large shopping complexes. 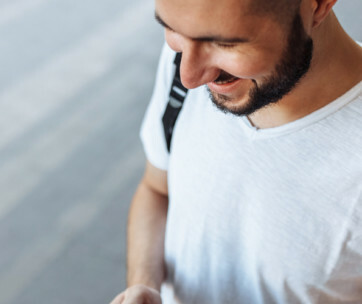 When you shop on the internet you can sit comfortably in your own home and look through thousands of catalogs and online stores until you find exactly what you are looking for. One of the drawbacks to internet shopping is that you don't always get what you think you ordered and many cheap imitation sites use images from authentic brands, but then send you an inferior article that doesn't even closely resemble what you believe you ordered. So is it harmless to purchase flannel shirts on the internet? The answer is a definite YES! But you have to do your homework. Most authentic brand names have their own online stores, or they sell through reputable department stores or other online stores. It's important to check the reviews before making an online purchase but not just the one the website recommends. Search for independent review sites and see what previous buyers have to say. Also, and this is extremely important, do not purchase your flannel shirt unless the online store has a reputable returns policy. At the end of the day, you also need to use your own common sense. If you see the flannel shirt you want in an authentic online store and then see it at a small fraction of the cost on another, the cheap one is most likely a knock-off and not something you want to be stuck with. Q: What Type Of Material Is Used In Making Flannel? A: Back as early as 16th Century Wales, legend has it that flannel or a flannel like material was created from wool. The main purpose of the fabric was to produce warm clothing in a notoriously cold climate. At various stages flannel became a popular material for bedding, blankets and sleepwear as well. Today's flannel can be made of wool, cotton or a synthetic fiber but the purpose has remained the same. Flannel clothing is still a popular choice thanks to its durability, softness, comfort and warmth. Q: Can You Wear A Flannel Shirt During The Summer? A: There is no denying that a flannel shirt is the ultimate in warm winter clothing, but you can also get away with wearing it in the summer. Picture yourself at a beach or lake party on a hot summer's day. The party goes well into the night and being beside water, you can feel a definite chill. This is where a flannel shirt can be your best friend. It is light enough to wear on a summer evening, but will still give you all the warmth you need. Teamed with a pair of cargo shorts or jeans and all you need under your flannel shirt is a light t-shirt or tank top. Be warned though, you may be asked to relinquish your warm shirt to one of the female party goers. This versatile shirt will look just as stylish over a summer dress. Q: Are Flannel And Plaid The Same? A: When someone mentions a flannel shirt, the picture that forms in the mind is the classic tartan style design more commonly known as plaid. This is a frequent misconception that goes hand in hand with this iconic shirt. Flannel refers to the soft fabric used in the production of many clothing items and bedding. The flannel shirt just happens to be the most popular item made from this wonderful material. Plaid refers to the actual pattern or design used in most flannel shirts. However, plaid often makes an appearance in ordinary cotton or linen clothing items as well. Step out in style and look like the classic active man in any of these in our selection of the best men's flannel shirts. The types and thicknesses of this wonderfully soft brushed fabric are suitable for work and play and with the endless variety of color combinations and patterns, you can have a new look every day. Whatever your reason for having a flannel shirt in your wardrobe there is no denying the imagery of a strong, rugged and capable man looking quite dignified and ready for action. With the cooler weather almost upon us it's time to bring out the warmer clothes and this fantastic piece of clothing history. Stay warm and comfortable any time of the day or night in your favorite flannel shirt.